Gone are the days when you used to click the photographs, and keep them cherished in photo albums. Today, even if you are going to see a movie, the first thing you normally do is to click a selfie and share it with your friends. There are several mediums of sharing your data with others, but ShareIt has become the most popular one among social buddies. ShareIt is an app developed by Paradox that you can use to share your files, folders or photos with others using Wi-Fi or a Bluetooth. The best thing is that it is available to download absolutely for free. You can send files from 1 MB to 100 GB within seconds, and it works on all Android, Apple and Windows devices. 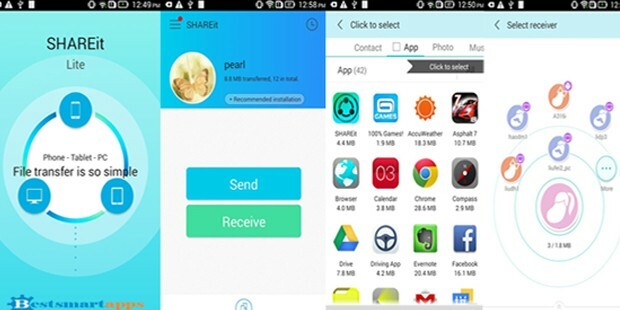 When ShareIt app is accessed on a device, the user sees a ‘Shared’ tab that contains all the files and folders shared within the network. Here, all the users sharing the network can view, comment and download the shared files, which everyone can see too. There is a ‘File Selector’ tab, with which you can select a file or folder to be shared. Once you click select, it is automatically shared with other users on the network. ‘My Files’ tab allows you to manage the files that you want to share, or remove, or comment. You may also change privacy settings of your ShareIt app. With the ‘My Downloads’ tab, you can open or remove any downloaded files. If the existing Wi-Fi connection is not available, the device’s Bluetooth is automatically used for establishing the link. ShareIt app can be easily downloaded from Google Play Store for Android devices, App Store for Apple phones and Windows phone store. Windows desktop version of the app is also available for download. Just select the app that you want to download, and hit the Install button. Once it has installed, open it, and transfer your files to be shared. Setting up the app takes merely 20 seconds, after which you will be able to share your files and folders over the connection. 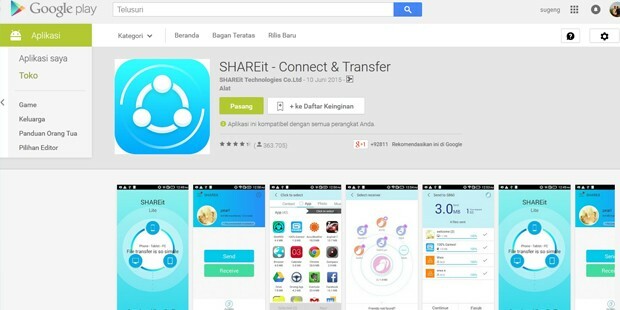 ShareIt has gained much popularity primarily due to its user-friendly interface. While transferring your files and folders, you will find that all types of files are listed as per their format. For example, all general applications are in one folder, all files are available in the files tab, songs in the music tab, and images in the photo tab only. Due to this, when you want to share your files, you can quickly sort them by format, and share them with lightning fast speed. 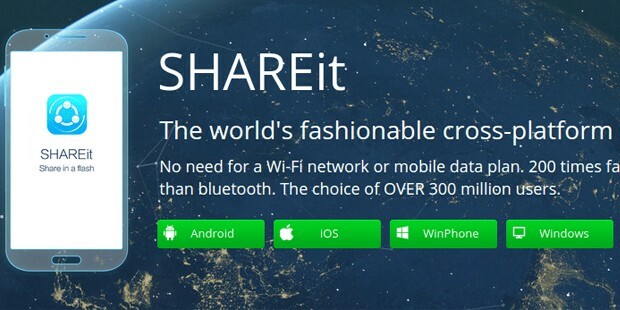 With ShareIt, you can share your photos, videos and other data with others on the same Wi-Fi network. Not only this, the people you share your data with can also comment on them, and share them further. So, ShareIt has come as a boon for those who want to keep their friends shared with their updates.